It was just a phrase in a magazine arti cle, reading casually, waiting for my hair to be cut. I wish I could remember who said it and in what context, but I’ve lost the source. The phrase stayed with me, reminding of some other words to live by, including “You miss every shot you don’t take, ” attributed to Wayne Gretsky. Why a turtle? 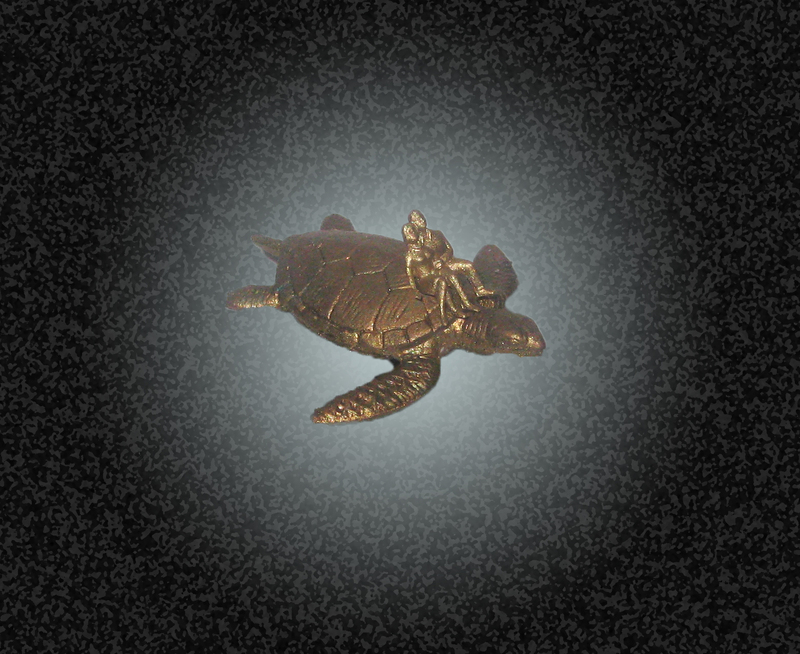 I don’t know: Perhaps the gentle sea turtle always appears to be flying and I took it one step farther, with a couple taking a leap of faith together, fearless and bold, holding on for the exciting ride ahead. 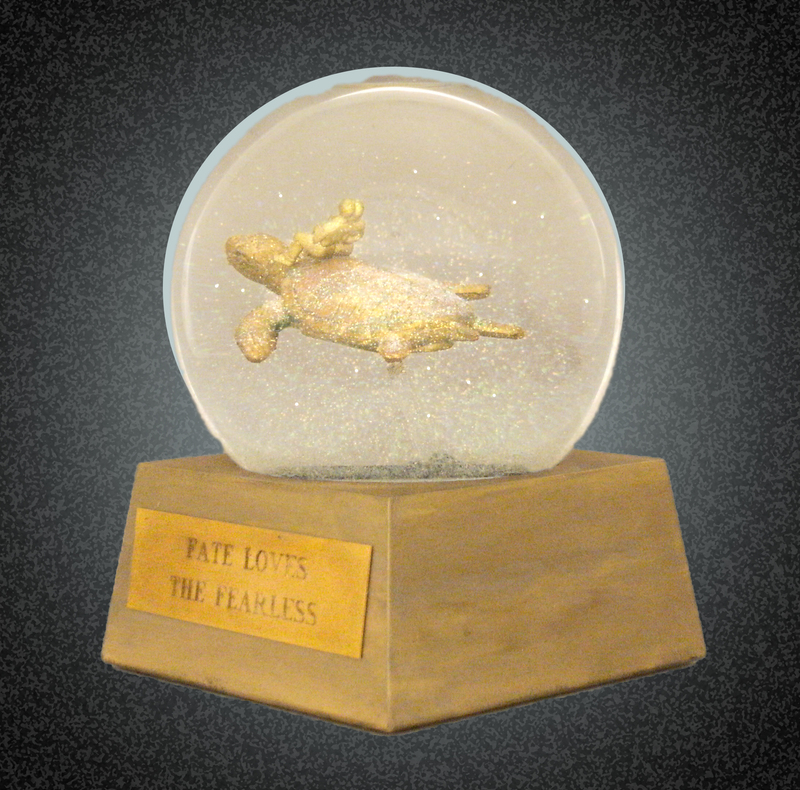 “Fate Loves the Fearless.” Ah, yes it does. 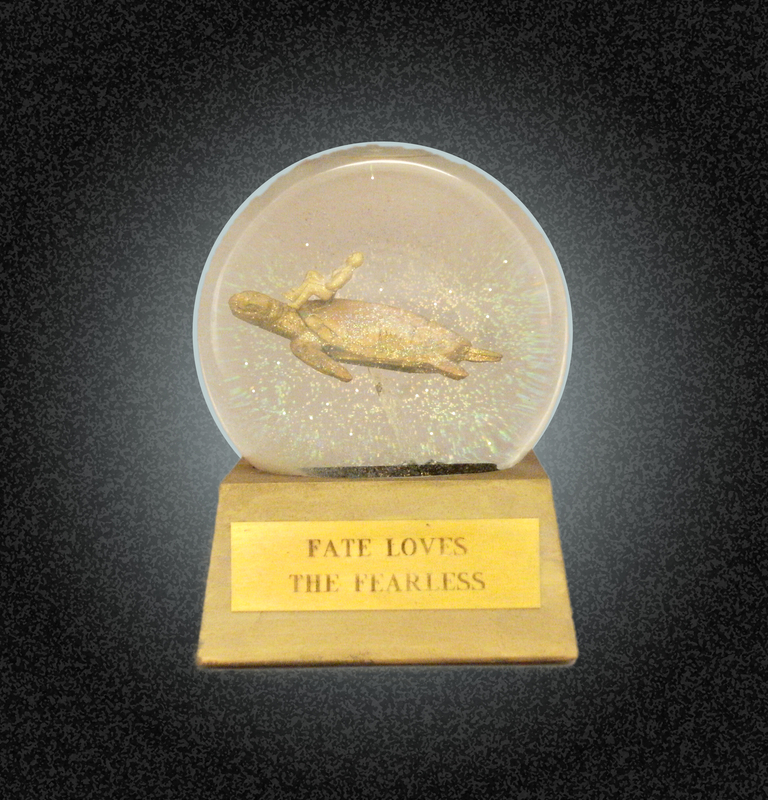 “Fate Loves the Fearless” custom snow globe with flying turtle and tiny human couple along for the ride. When shaken, the liquid sky fills with shimmering glitter of daybreak. All photographs, images and designs are copyright (c) 2015 Camryn Forrest Designs, Denver, Colorado USA.